At The Autobarn Volkswagen of Countryside, we know that different Chicago drivers have different wants and needs. That’s why we carry a wide selection of vehicles that are well suited to a variety of lifestyles and budgets. In fact, we have a great inventory of cars for sale under $10,000. We also have plenty of used cars for sale under $10,000 available right now too, so you can bring your favorite home to LaGrange. Advertised pricing does not include taxes, license and title fees and a documentary service fee. Special finance rates available to well qualified buyers. All pricing may not qualify for all special finance rates. While great effort is made to ensure the accuracy of the information on this site, errors do occur so please verify information with a customer service rep. This is easily done by calling us at 708-469-4248 or by visiting us at the dealership. Whether you’re looking for a pre-owned Volkswagen, or another brand like Chevrolet or Nissan, or if you want the best used SUV under $10,000, you’ll find plenty of affordable used cars on our lot. Not only do you get a great price, but you also get to take advantage of these brands’ exciting technology, comfort, and safety features as well. And with our many rotating finance offers, you can take advantage of affordable models, such as the best SUV under $10,000. 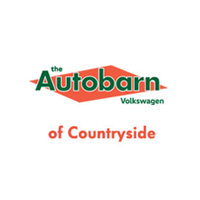 When you want a good vehicle price near Countryside, or you’re looking for affordable vehicle service, let the team at The Autobarn Volkswagen of Countryside help you out. Contact us today to schedule your visit and bring a new model home to Naperville today.